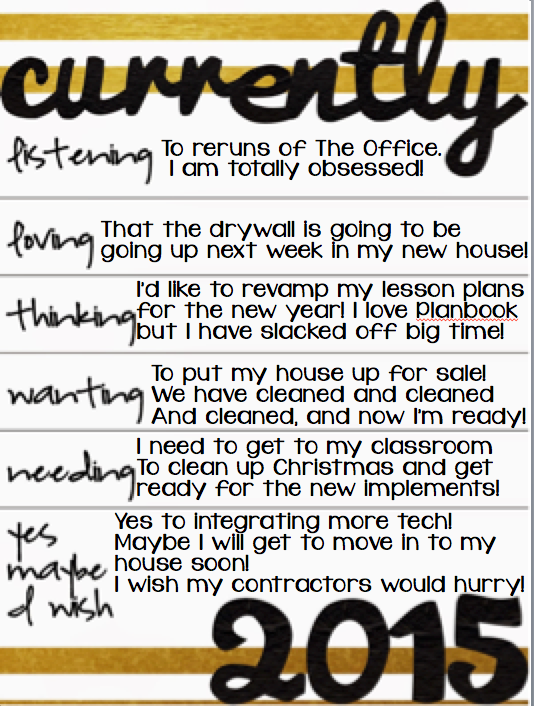 I'm linking up with Farley for January's Currently! Listening: I love love The Office! We only have Netflix/Amazon Prime/Hulu so I binge watch my favorite shows over and over. The Office never fails to make me laugh! Could you imagine a principal like Michael Scott!? What a crazy and fun school it would be! Loving: My house sure is coming along! My wonderful husband ran wire today for the internet and cable. The contractor was working on making the bar under the stairs in the basement, and the drywall was recently delivered! I cannot wait until the rooms actually look like rooms! The drywall is going up next week! 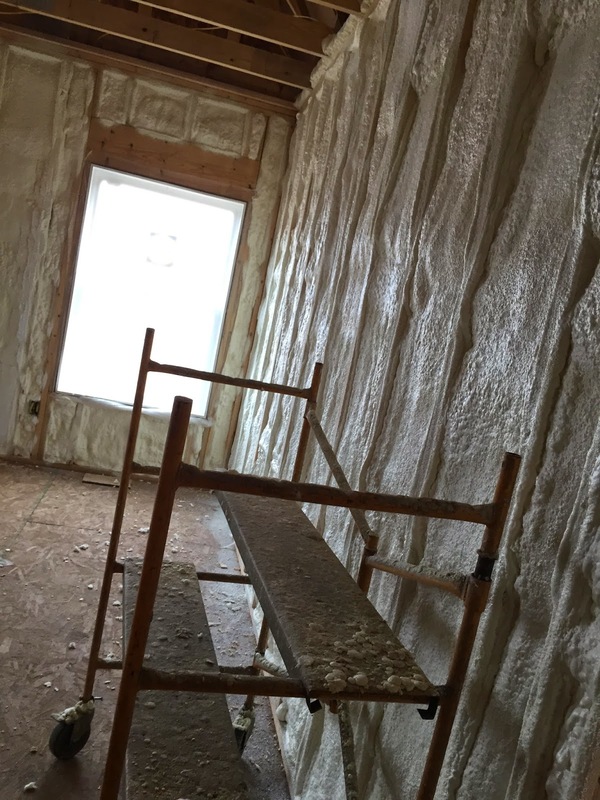 The insulation was finished yesterday! Thinking: I have used www.Planbook.com for my go to lesson planning for the past three years. I love love love it, but I think I need to go back to more paper and pencil. Maybe I will actually get my plans done this way. Planbook makes it too easy to slack on, and I do not need help slacking! Any advice!? Wanting: I am just so eager to get moved into the new house! I want to put my current house up for sale so bad, but then again, I do not want to be homeless! My new house is just too cute not to live in right now...but it would be a little cold with no heat! I mean, JUST look at that front door! Needing: I just want to enjoy my break!!!! But I really need to go to school and clean off my desk and clean up Christmas stuff. In the second semester of second grade, big changes happen for these kiddos in my room. We are going to start implementing Exit Tickets, blog on a regular basis, be more responsible for our own assignments, and read, read, read!! Yes: I love love integrating technology in my classroom! We are going to start blogging regularly, like I already said. We are also going to start watching videos from Educreations for math, and start making Prezi presentations! I cannot wait to start this! Maybe: Maybe I will get to move into my new house soon! I know it won't be until February at the earliest, but I keep thinking just maybe! I Wish:.... I just want to move in!!! I can't imagine my impatience if I have a baby! I will not be able to stand it!!! Be sure to head over and link up and check out the other Currentlys! Hi, Aimee! I love how excited you are...for everything that's happening for you right now. The world needs more upbeat people, don't you think? I am amazed at the technology you are doing with your second graders! I don't know if Ai could get my fourth and fifth graders to do some of that! Seriously! I'm looking forward to hearing more about your technology plans. And about your new house! I'm your newest follower! How exciting to be watching your new house take shape! I hope you get to move in soon! I just started using Planbook this year. I like that I can link my files for my interactive whiteboard directly to my plans. I just open the planbook page for the week and click on the files I'll use that day. So much easier than hunting through my dropbox files to find what I need. Have a great New Year! You sound just as busy as me! 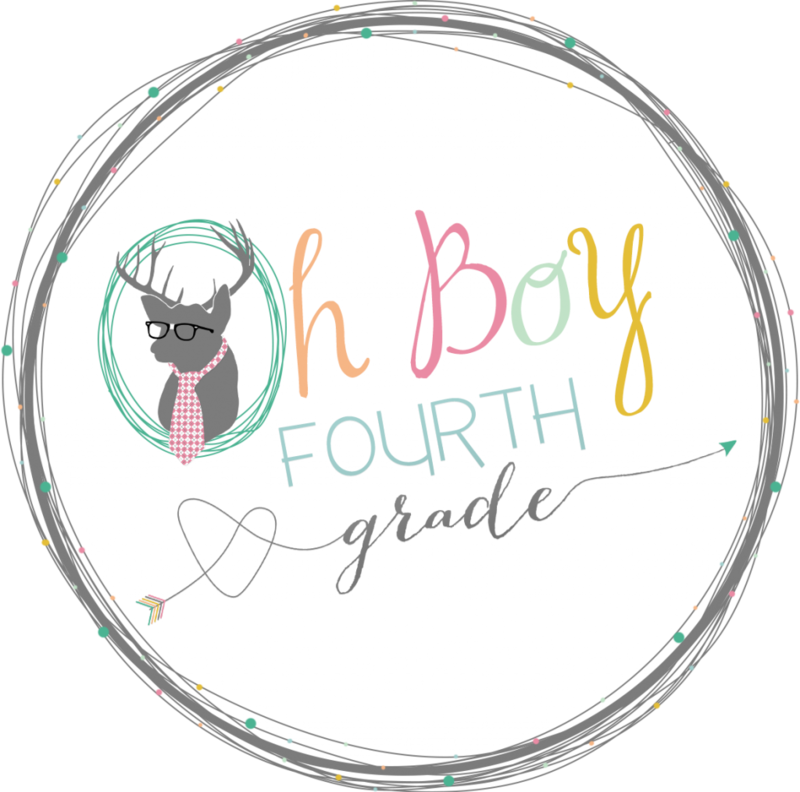 :) I also want to get into my classroom to clean up the Christmas decor and to get ready for spring! Woo Hoo!! Have a great rest of the year! I was able to get into my classroom last weekend and I got all the Christmas things down and put away. I felt so good about it. I hope you can get into your room and start fresh after your break.